There's a lot to learn about the iPhone 4S. All of the tips and tricks about using this model are covered elsewhere. This article has everything you need to know about buying the 4S, phone companies and contracts, and more. What Phone Companies Offer the iPhone 4S? 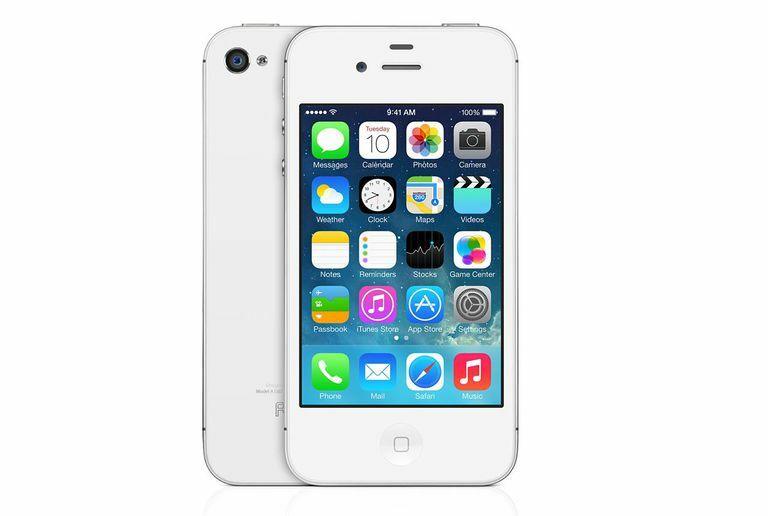 In the U.S., the iPhone 4S works on AT&T, Sprint, T-Mobile, and Verizon. Is the iPhone 4S Compatible with All Carriers? Essentially, but not officially. The iPhone 4S is what's called a world phone. This means that it has both GSM and CDMA chips, which allows it to move from one country to another and work with the cell phone networks in each. While the iPhone 4S didn't originally, officially work on the T-Mobile network, T-Mobile added support for the device in 2013. I'm a New Customer/Upgrade-Eligible with AT&T, Sprint, or Verizon. What Will I Pay?US$199 for the 16 GB model, $299 for the 32 GB, and $399 for the 64 GB model. As of late 2013, the iPhone 4S is free from most major carriers with a new contract since it's been replaced by new models. I'm a Current iPhone Customer. Am I Eligible for A Discounted Upgrade? Probably yes. The details of this haven't been released yet, but in the past, carriers have generally allowed their current customers to upgrade to new models at the discounted price. To do this, you'll sign a new two-year agreement replacing your current one (i.e., two years from the date of signing the new one, not extending the old one). I'm a Current Non-iPhone, AT&T/Sprint/Verizon Customer and Am Not Eligible for an Upgrade. What Do I Pay? The full price of the iPhone 4S hasn't been revealed yet, but expect to pay $200-$300 more than the subsidized price. Do Contracts Reset for Current iPhone Owners? If you upgrade, yes. If you upgrade, you'll have a new two-year agreement. I'm a current AT&T or Verizon Customer. What Does It Cost to Switch to Another Carrier? This is a somewhat complex question, since a number of factors determine the answer. If you're under contract with your current carrier, expect to pay an early termination fee (ETF) plus the subsidized cost of the new iPhone. If you're paying month to month, you're free to leave at any time and will pay the new-customer price for the iPhone 4S. For a fuller look at the costs of switching, read this article. What Are the ETFs for Each Carrier? What Do iPhone 4S Data Plans Cost? Data plans for the iPhone 4S cost from $20 for 300MB (AT&T) to $100 for 10GB (Verizon). Sprint offers unlimited data. What Is Cost of Exceeding Your Data Plan? Generally speaking, $10 for 1 GB of additional data, though it varies by carrier. When Can I Buy It in the U.S.? Oct 14, 2011. Pre-orders begin Oct. 7, 2011. How Does the iPhone 4S Compare to the iPhone 4? Check out this comparison chart of all previous iPhone models to see the evolution of the iPhone line and where the iPhone 4S is improved. What is Siri? Siri is a voice recognition program that allows users to speak to the iPhone 4S to ask questions or make commands. As of Oct. 2011, Siri only works with the built-in, Apple-developed apps that come with the iOS. Examples of Siri functionality include getting a weather forecast for your location, hearing a text message read aloud to you and responding to it by voice, dictating emails, setting alarms and reminders. Siri does not work on iPhones earlier than the 4S. What is AirPlay Mirroring? This feature allows users to display whatever's on their iPhone screen on an AirPlay-compatible device, such as a computer or Apple TV connected to an HDTV. This allows them to play games or movies on the device from their iPhone 4S at up to 720p HD over Wi-Fi.